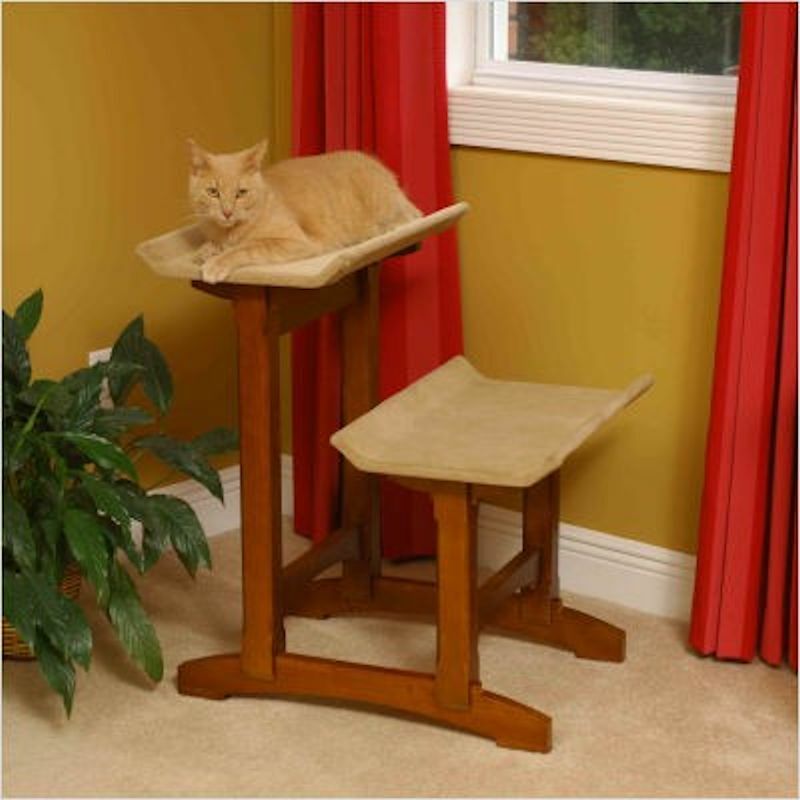 Your cats will love this wonderful, classy perch. It in fits beautifully with any decor and with any cat. Furniture Grade - Built to Last. Seat height - 17" and 27".